Home » Food » Food Review: Upin Hot Pot at The Central, Clarke Quay | The Poorer Cousin of Hai Di Lao? 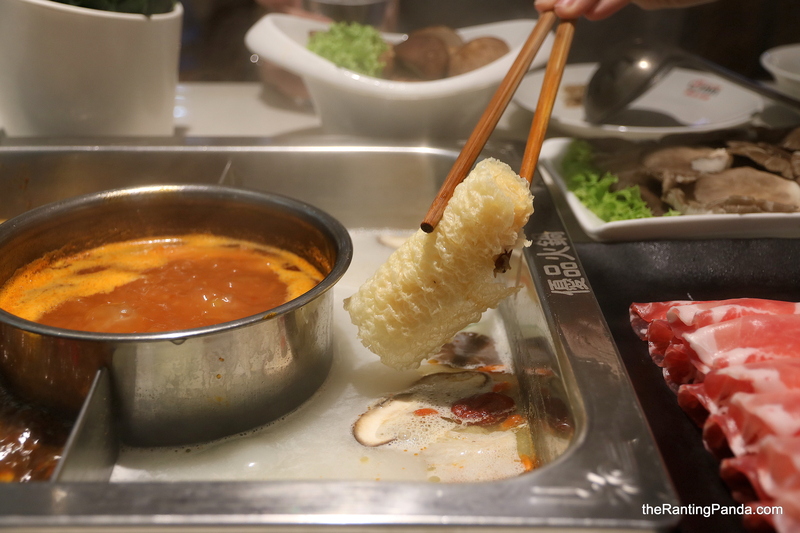 Food Review: Upin Hot Pot at The Central, Clarke Quay | The Poorer Cousin of Hai Di Lao? The Place I rarely go to The Central for meals as I feel that there is a lack of good restaurants in the mall despite its prime location. Upin Hot Pot in Clarke Quay manages to pique my curiosity recently after hearing some reviews that its style is similar to Hao Di Lao. Located at level 3 of the mall, it is common to spot a long queue at Upin as the space is not huge, as compared to Hao Di Lao or Beauty in The Pot. Upin recently opened their second branch in West Coast Plaza, hopefully it will ease the queue here. We do recommend you to make a reservation before heading down, do note that reservations are only accepted before 7pm for Monday to Thursday and 6pm from Friday to Sunday. The Food There are up to 7 soup bases to choose from, where you can customise the spicy level. As it was my first time to Upin, we went for the Upin Three Soup Hotpot (S$14) for a good variety consisting of the Three Delicacy Hot Pot, Tomato Soup and Spicy Soup. The Three Delicacy Hot Pot base is their in-house flavour, mainly prepared from chicken broth. The soup flavour is light and clear for a start. The tomato and spicy soup bases are pretty average for me. It does not have the distinct and sweet tomato flavour I was expecting, while the spicy flavour is not as nice as the one from Beauty in The Pot. Some of the signature meats to have are the US Beef Slices (S$12), Black Pork (S$10) and Handmade Fishballs (S$6). Quality wise, it is decent but nothing to shout about. You can also get your usual condiments, chargeable at S$3 per pax. Rants The service is nowhere near Beauty in The Pot or Hao Di Lao. It took some time for the food to be served, and I didn’t find the staff very attentive to table needs. Will I Return Again? Beauty in The Pot still ranks as our top favourite hotpot restaurant. And yes, Hai Di Lao over Upin. If you are looking for a more inexpensive option, head over to Shang Pin Hot Pot instead.